The report said that Pakistan also plans to lodge a complaint against India at the United Nations, accusing New Delhi of "eco-terrorism". 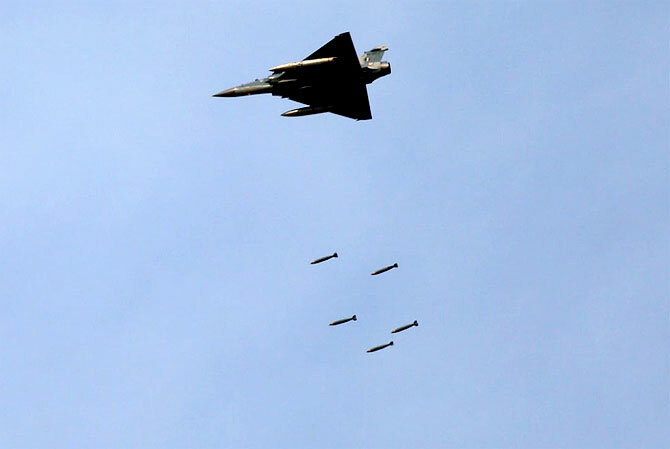 p class="rbig">Pakistan on Friday registered a first information report against "unidentified pilots" of the Indian Air Force for bombing and destroying 19 trees in the Balakot area, according to a media report, days after India's preemptive strike against the Jaish-e-Mohammed's largest terrorist training camp in the country. The FIR, registered against "unidentified IAF pilots", also details the damage suffered by 19 trees after the Indian fighter jets "hastily dropped their payload", it says. On March 26, India said IAF jets, in the face of imminent danger, launched a preemptive strike on Balakot in Pakistan's Khyber Pakhtunkhwa province. "In an intelligence led operation in the early hours of today, India struck the biggest training camp of JeM in Balakot. In this operation, a very large number of JeM terrorists, trainers, senior commanders and groups of jihadis who were being trained for fidayeen action were eliminated," Foreign Secretary Vijay Gokhale said in a statement in New Delhi. The Pakistani military has has said the IAF jets released their payload which "had free fall in open area." "No infrastructure got hit, no casualties," Pakistan military spokesman Major General Asif Ghafoor said in a tweet soon after the Indian preemptive strike. The Express News report said Pakistan also plans to lodge a complaint against India at the United Nations, accusing New Delhi of "eco-terrorism". The Indian warplanes bombed Jabba Top, a hilly forest area near the northern town of Balakot, about 40km from Pakistan-occupied Kashmir. Pakistan's Climate Change Minister Malik Amin Aslam had said Indian jets bombed a "forest reserve" and the government was undertaking an environmental impact assessment, which will be the basis of a complaint at the United Nations and other forums, the report said. "What happened over there is environmental terrorism," Aslam said, adding that dozens of pine trees had been felled. "There has been serious environmental damage," Aslam was quoted as saying. The United Nations states that "destruction of the environment, not justified by military necessity and carried out wantonly, is clearly contrary to existing international law", the report quoted the UN General Assembly resolution 47/37 as saying.